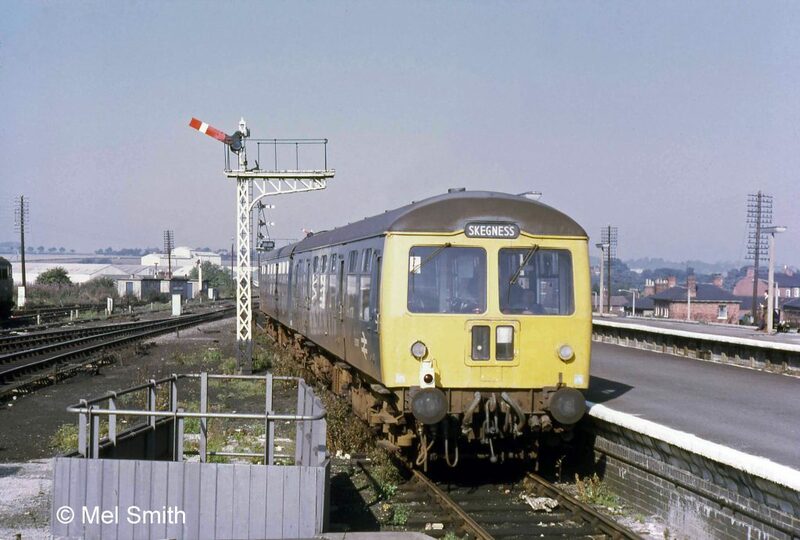 John Starbuck, a Station Supervisor at Grantham between 1984 and 2000, remembers his task on many summer Saturdays in the 1980s. I arrived from my home in Doncaster to relieve my colleague Bernard Nickerson at 13.30. When I stepped off the King's Cross bound train all you could see was masses of passengers off my train, and all the down side platform heaving with more passengers - all trying to get to Skegness. On my arrival in the office Bernard, with a smile, informed me the next service due was full and standing from Nottingham and the job was all mine. Time to put my thinking cap on! We waited till the train arrived to see how many people got on/off and roughly how many were left on the platform - with the prospect of more passengers arriving for the next train approximately 1 hour 25 minutes later. The platform was still heaving, so it was time to try and arrange local coaches, which required telephoning lots of numbers. I started by phoning local coaches from Grantham, Sleaford, Newark and finally Nottingham City Transport. In total approximately 30 coaches and buses, both single and double deck, appeared at the station front. This meant transferring passengers over the footbridge and also using the barrow crossing, where we required permission to cross groups of passengers between trains running. This was eventually done, and now the station front was a swarm of passengers pushing and shoving to get on the coaches. At that time we had Hertz car/van hire based at the station and we hired a large transit van which we piled high with luggage. Also we used a few local taxis to take everyone away, with some going direct to Butlins. As the air cleared we found 4 cases but no owners, so another taxi was ordered, the cases put in and despatched to Butlins - and at last I could sit down! The thing to note is that this was achieved in the days when you made decisions locally on how to solve a problem. Later, in what they then called the 'modern railway', you had to ask for permission to do this and do that it was all taken away from the local level. I know which era I enjoyed most. But let's not forget all the staff involved all along the routes and thinking you'd have to do the same the following week. 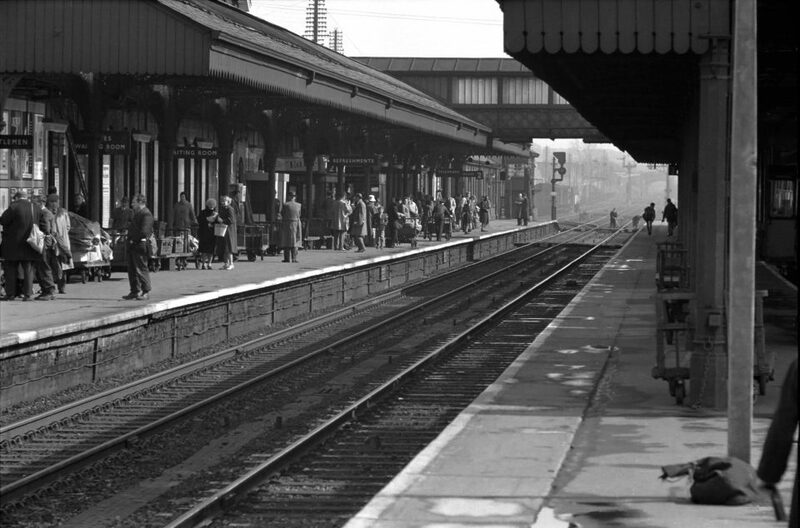 On a much quieter day, a train for Skegness leaves the Down Bay platform at Grantham in October 1971.